The greatest barrier to bitcoin adoption today is the mysticism and magic that surrounds money and wealth. Due to this mystical perspective of money, many people do not understand the scientific functions of money as an economic mode of exchange. However, when we can come to understand bitcoin and money from a scientific perspective, we can pull back the curtain of Oz and see the little man for what he is. I use the words magic and mysticism very specifically. When I say mysticism, I am not talking about true fairy-tale like mystical forces, but the human perception of the legitimacy of the unknown. The unsaid agreements that run and dictate larger forces within our society that one does not understand, but one accepts at face value. It is here that we find the sacrifice of knowledge-sovereignty in exchange for mystical comfort–there is strength to be found in ignorance. Magic is the application of psychological obfuscation to obscure what the truth is. 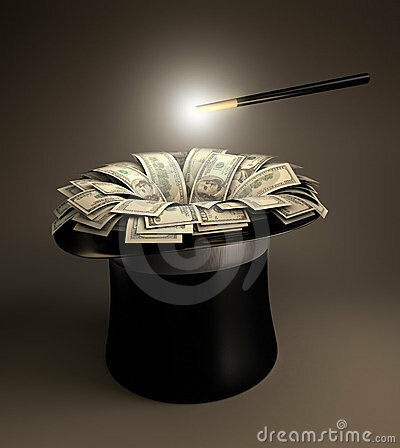 The application of ‘magic’ creates a mystical story around whatever the target does not understand. This creates the false reflection of truth through offering ‘what is’ as a justification for how it should be. This article in Time Magazine’s blog speaking about the dangers of bitcoin is an example of this. This article speak of how the most recent report from the consumer financial protection bureau warns that bitcoin is, “Vulnerability to hackers, limited security, excessive costs and scams…Virtual currencies are not backed by any government or central bank, and at this point consumers are stepping into the Wild West when they engage in the market.” However, what Time fails to understand that this is the whole point of bitcoin. Bitcoin seeks to ensure that West stays wild. It seeks to take money completely out of the hands of governments and regulators due to the fact they cannot be trusted with the economic prosperity of all. This propaganda piece from Time made to scare people into continuing to trust their governments with their money and economic prosperity, despite the mountain of evidence that we should not. However it is not enough alone to simply use propaganda and lies to create a mysticism–violence, control, and intimidation must also be an implicit facts of how ‘The Story’ is forged. This is part of what creates the ideological paradigm that money must be control by governments, or terrible thing will happen! This story is perpetuated by making money into something that only ‘experts’ can understand, as it is just too complicated, risky, and difficult for the common man to understand. Bitcoin is a financial system that is based upon scientific logic. This logic is derived from the mathematical bases and protocol upon which bitcoin is built. Those who use bitcoin understand that the known, limited supply of bitcoin, is part of what creates the value of bitcoin in the first place. Bitcoiners don’t want backdoors built into the protocol, or allow for the suits in banking or government to have any kind of access to their money–that’s the whole point of bitcoin! There is substantial evidence that these bankers and regulators want to be good masters, but they seek to be our masters. There is ample evidence of the long train of abuses that clearly shows what they want to do with that power, and it is not to protect the average citizen. The myth of money is animated behind the belief that the ruling establishment is pushing that people cannot, and should not have control of their own money. There is not a strong analytically case for this, but half-truths, fear-mongering, and an obscuring of what is true to attempt to herd people away from trying to achieve true economic independence for oneself. Whereas bitcoin and other digital currencies make the argument for why their are powerful modes of exchange and storage of wealth through strong, scientific whitepapers. The virtue of the value of digital currencies come from what they are, and what they are alone–not from the authoritarian systems that ask us to trust them without any reassurances. The science of bitcoin comes from its mathematical bases, and that anyone can review the code that build it. Bitcoin creates an argument for itself; you can see and understand how it is ‘unhackable’ when stored and used correctly, and see how the cryptography behind bitcoin keeps everything private. You can see how much the fees are for using bitcoin with the knowledge that there no other sort of hidden fees, random fund seizures, or someone who will deny you access to your own money when you need it. Digital currencies can be used anywhere on the planet (and in space as well), and can cross boarders with no hassles or declaration forms to be filled out. Bitcoin is simply better money than fiat simply by what it is. The con is up. The once ever-so-powerful wizardry that created and legitimized the banking, financial, and money systems can now be seen for the trickery that it is. The internet has given us the access to the information that lets us to tear down the curtain and see the wizard for who he is. As the false prophet flails and panics to put the curtain of obstruction and mysticism back up, we will find that his tale no longer holds the power it once did. We those behind the curtain for the criminal they are, and the way that they do it; now it is just a matter of time before people see these powerful institutions for the criminals that they are as well.